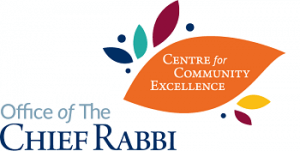 For the small community of Luton, ShabbatUK was a vitalising and joyful event that brought them together with other communities while reinforcing members’ relationships with each other. It kicked off with a joint Challah Make with St Albans and Shenley United Synagogues, which set the communal tone for the special candle lighting ceremony on Friday afternoon that many had left work early to attend. The 40-strong crowd were entertained at their communal dinner by a local teacher who delivered a Dvar Torah, as well as two children who spoke. Luton Synagogue got to enjoy ShabbatUK in fabulous style as they were visited by the Travelling Chassidim, who enhanced their Kabbalat Shabbat service singing new and traditional songs and tunes. This was followed by the most delicious teriyaki salmon and chicken meal with wonderful songs and dancing in-between courses. The “Travelling Chasidim” made for us a very joyous atmosphere. The next day the praying was with renewed fervour and dedication followed with another delicious meal with lots of songs in between courses. The “Travelling Chassidim” got up and danced round the table and encouraged other men to join them. They created such a radiant atmosphere, which was followed by Mincha. Then the ‘third meal’ was followed by Maariv and concluded with the ‘musical Havdalah’ service reaching its pinnacle when the “Travelling Chassidim” lit lots of candles plus a massive huge Havdalah candle. They played the keyboard, guitar with traditional music and then they said the Havdalah prayer.